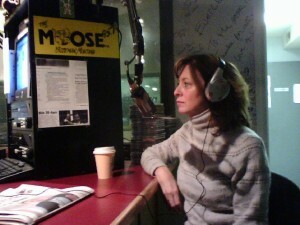 Kathleen Johns can often be heard on radio stations as a guest Psychic. Listeners call in to ask Kathleen their most pressing questions. These questions are very similar to the types of questions Kathleen’s clients ask during an office visit or phone session. Kathleen Johns Live in the studio on KMMS 95.1 FM “The Moose” in Bozeman, Montana with DJ Michelle Wolfe.